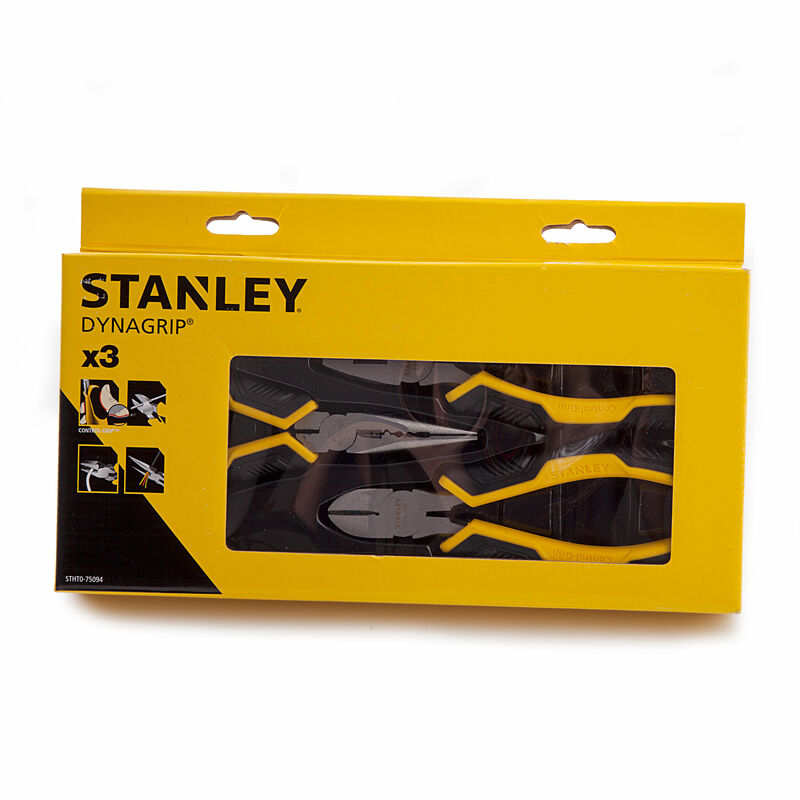 The Stanley STHT0-75094 3 Piece Control Grip Plier Set are made from forged carbon steel with and induction hardened blade and tempered jaws for long life. 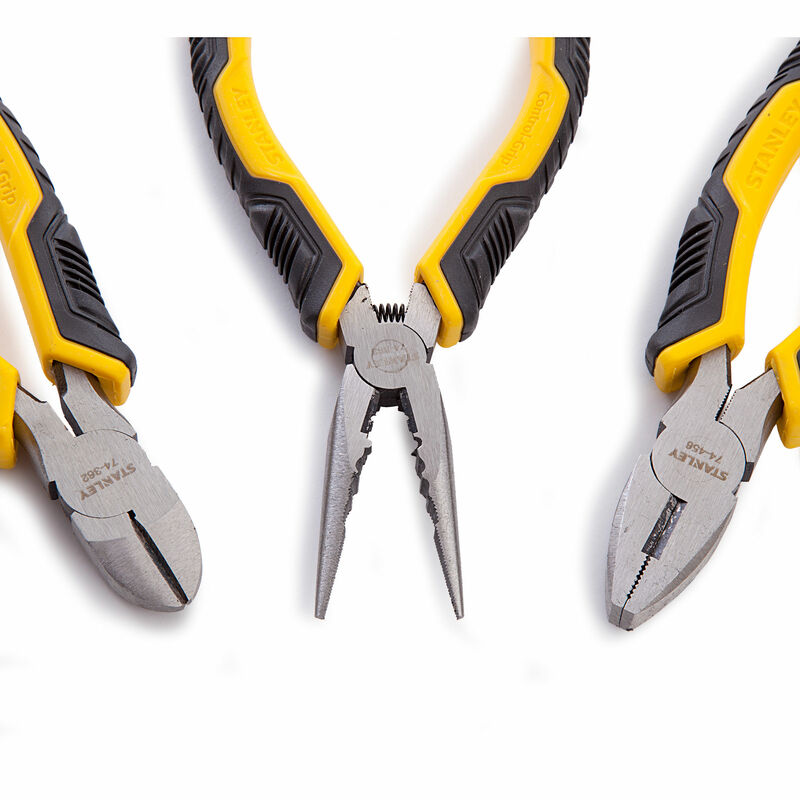 Precision milled cutting edges and pivot for smooth opening and closing of the jaws. ll exposed steel surfaces have been sanded and are protected against corrosion. With a bi-material, ergonomically designed handle that is easy to hold, even with oily hands.